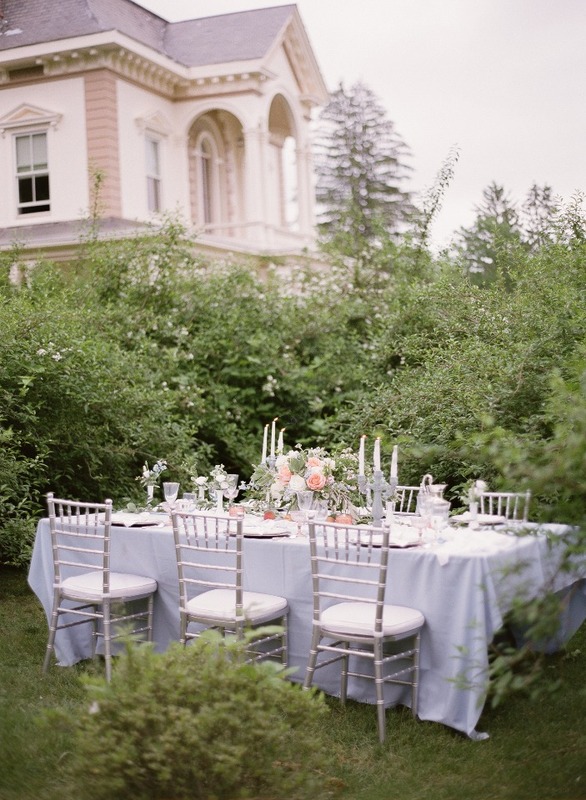 A little vintage garden fabulous for your Friday morning! 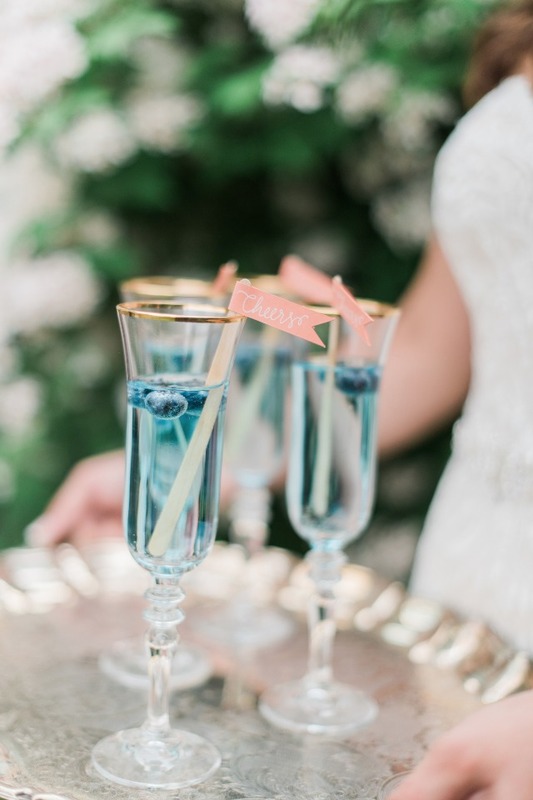 We hope these heavenly peach and blue wedding ideas will leave you feeling just as warm and fuzzy as we did when we first laid eye on the stunning photos from Melanie Zacek Photography! 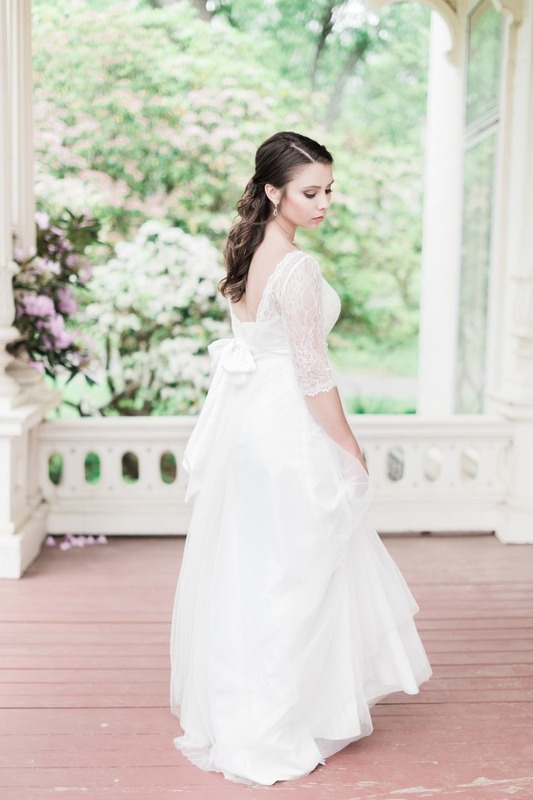 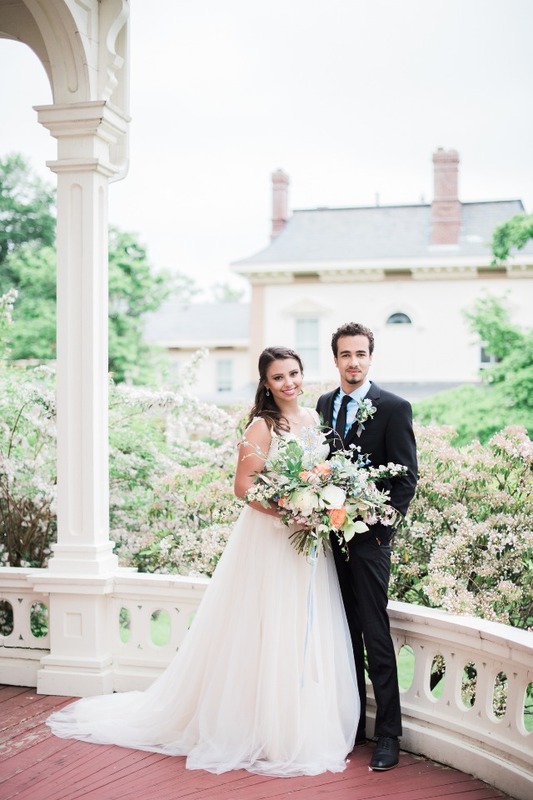 Located at The Amherst Women's Club in Massachusetts, this dreamy day was designed by Parsimony Vintage and you can see every last image when you visit the full gallery here! 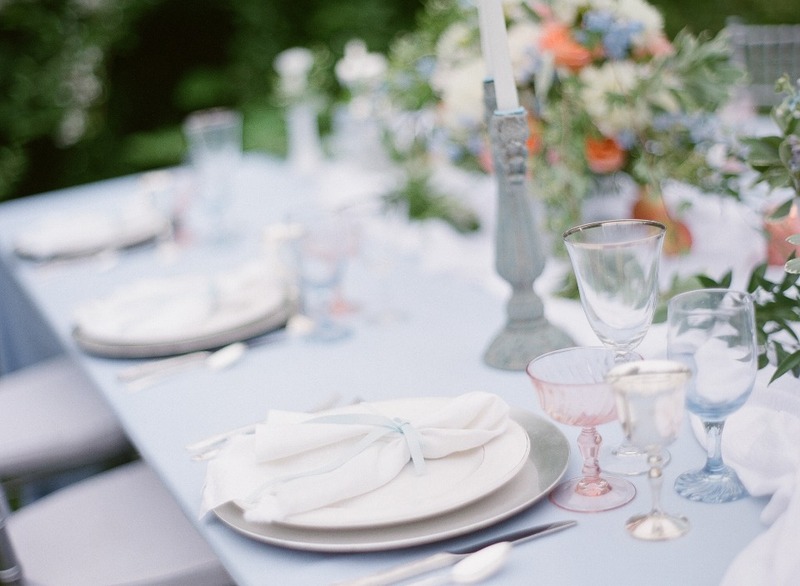 From Parsimony Vintage: There is something so elegant about a soft color palette of blues and creams. 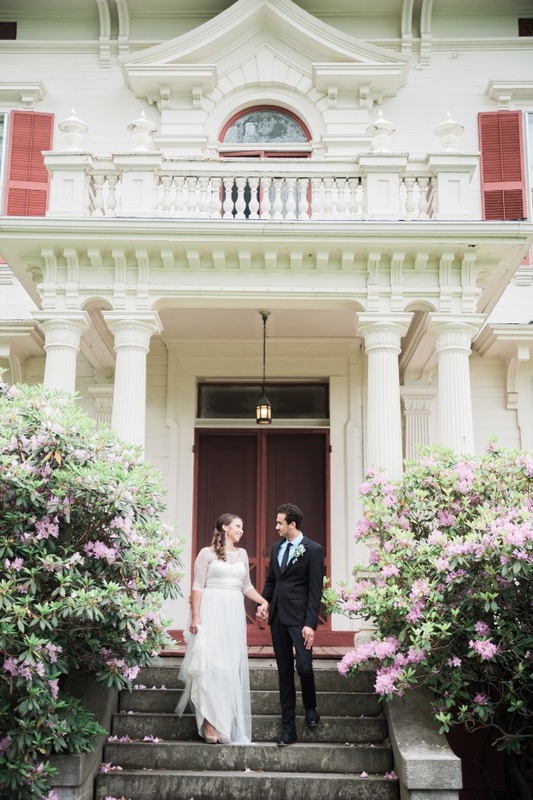 Is there anything more romantic then this? 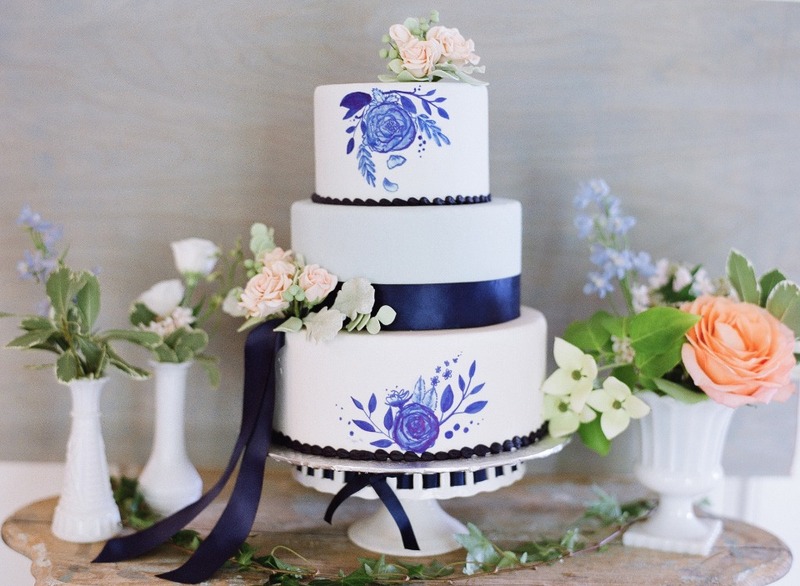 Our inspiration was to create a day of romance filled with pretty details, florals and lace. 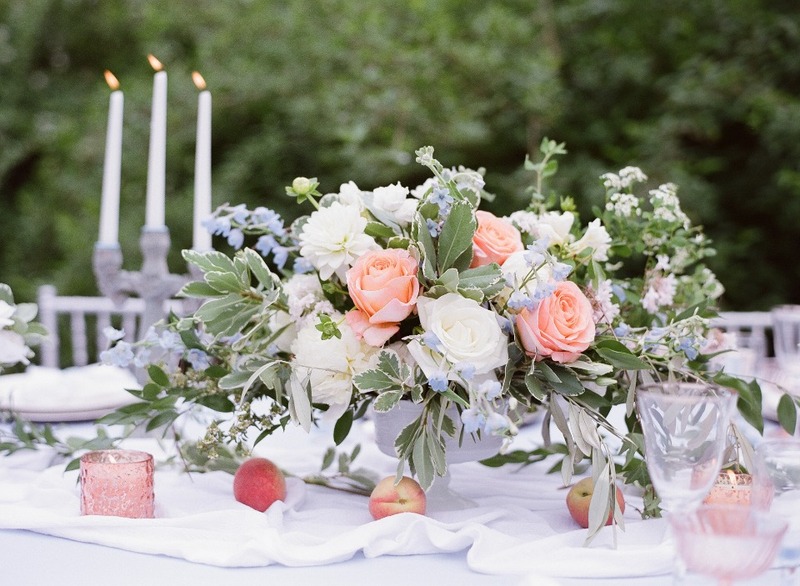 The colors were mixed with pops of peach to create a delicate and heavenly scene. 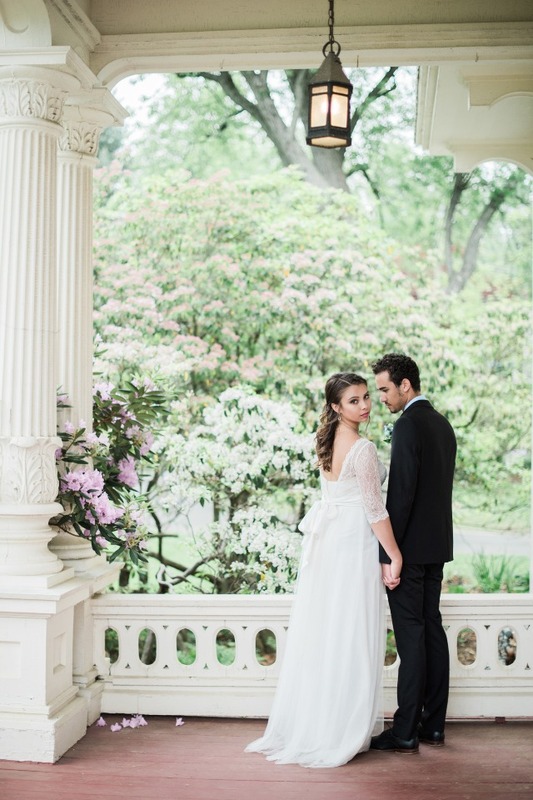 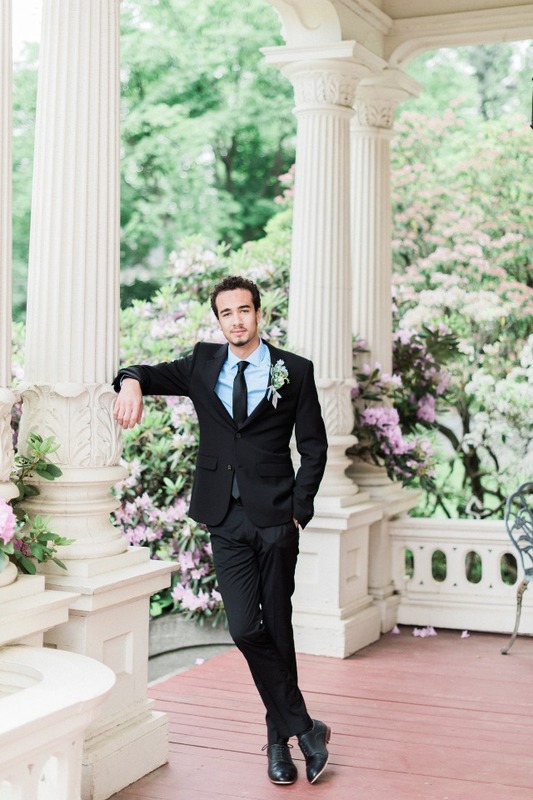 Our flowers and details were inspired by the beautiful venue's gardens and landscaping. 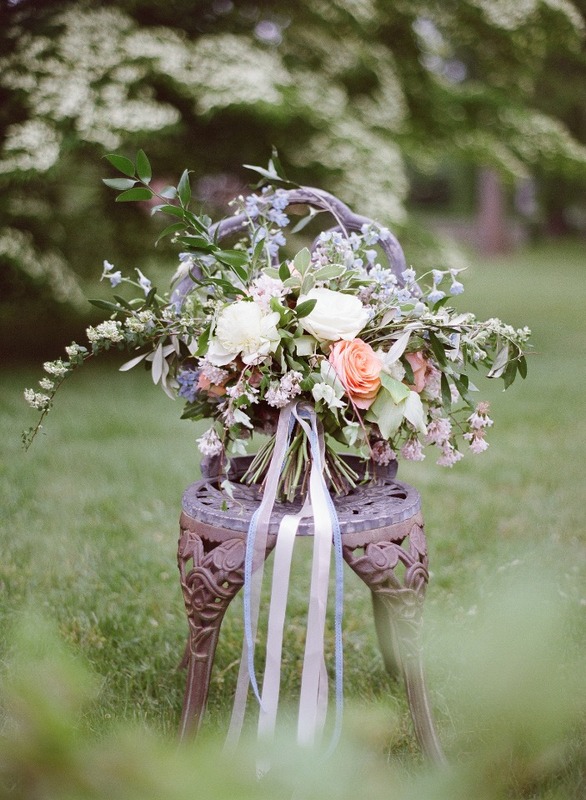 With the every spring flower in bloom it was hard not to be inspired! 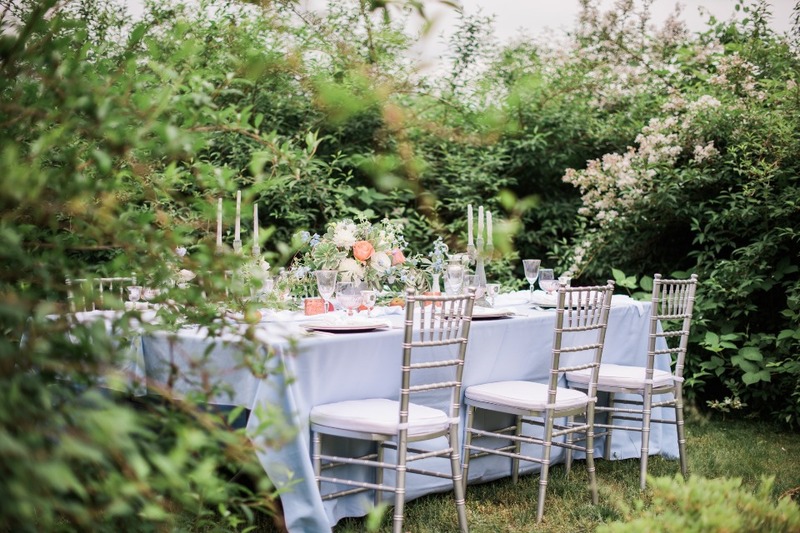 The mix of the light blue tweeida and delphinium paired beautifully with the sweeping beauty bush and extra large blooms of roses, peonies, and even a early bloomed dahlias filled the arrangements and bouquets. 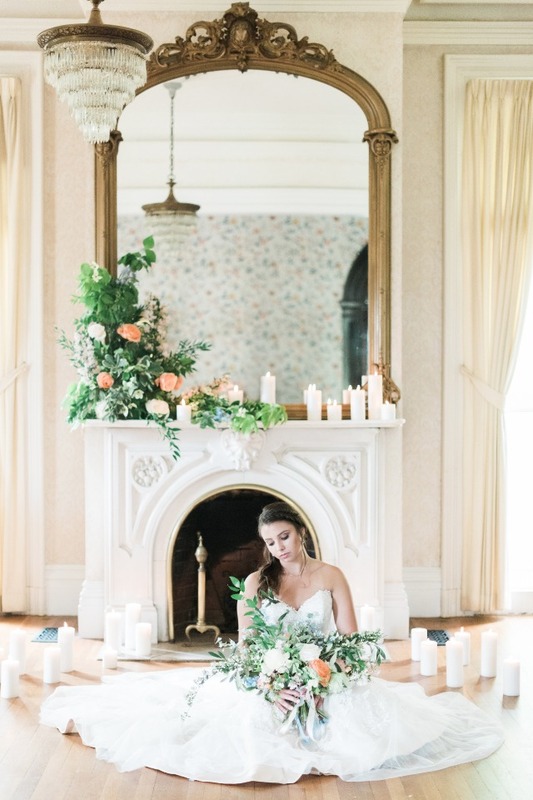 The abundance of greens, the tones and textures are a true sign of the season. 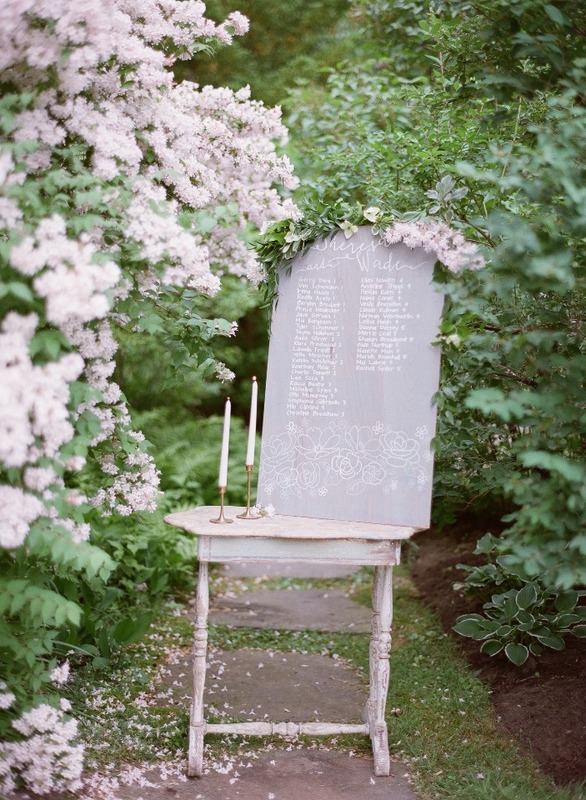 Italian ruscus, dogwood, variegated pitt, cut ivy and olive branch helped give this the perfect airy and romantic feel. 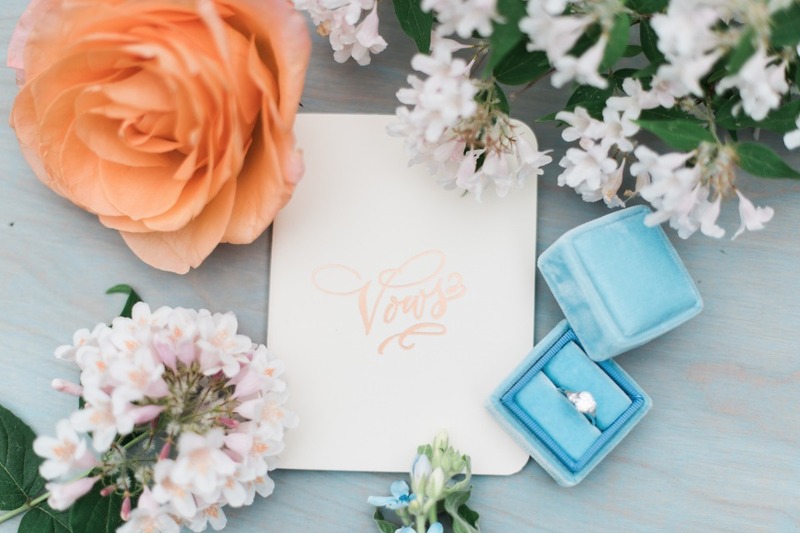 Did you fall for all the flowers in this heavenly peach and blue wedding shoot? 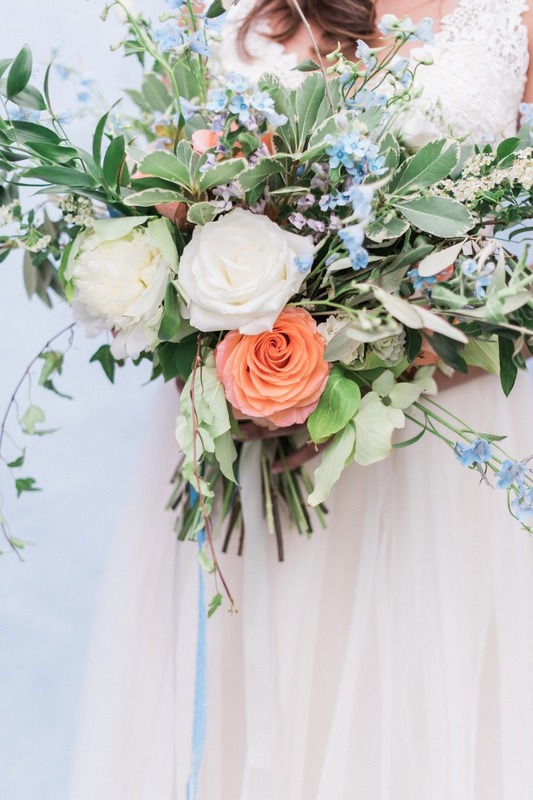 If you are obsessed with finding the right bouquet for your big day then you NEED to see these 100 bouquet recipes to help narrow down you search!